Flipside Fairytales: The Little Mermaid - Launched! Flipside Fairytales: The Little Mermaid has now been released! You can now purchase it on itch.io either alone or in a bundle with Panic! at the Dog Show. This is the 2nd intern game of 2018 to see a release! We're still working on at least two more by the year's end! Please leave a comment if you play the game and let us know what you think! 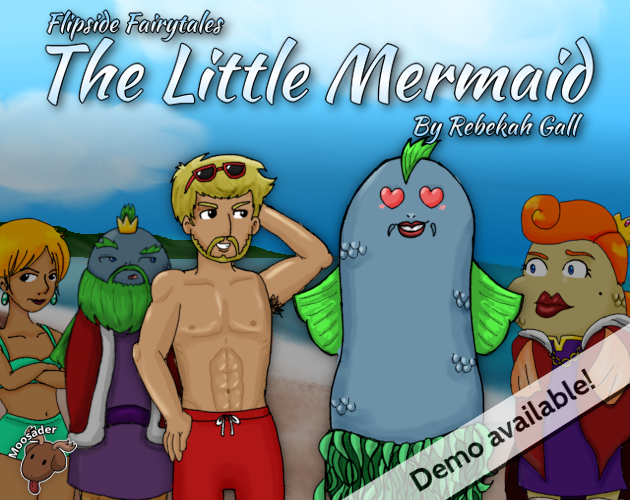 Demo of The Little Mermaid now available!